School Attendance: For Businesses, It Matters! September is a time for new beginnings as it’s the start of a new school year. While kids and their parents are busy shopping for school supplies and clothes, the community is focused on a critical area – ensuring kids attend school and reducing tardiness. As consumers of the talent coming out of our education system, we as employers, benefit by supporting and investing to make sure the children and youth in our community are in school, on time, ready to learn. 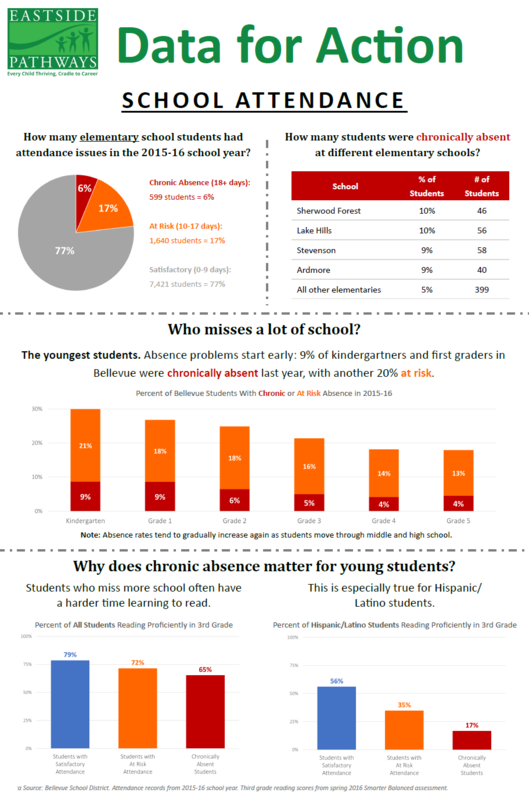 Chronic absenteeism affects schools across the nation. Here, on the Eastside, more than 4,300 students in the Bellevue and Lake Washington school districts were “chronically absent,” in the 2016-17 school-year. What does this mean and why is it an issue? It means these students missed more than 10% of the school year or were absent for 18 days of the school year. That’s only two days a month, but that can put children on a path of not graduating from high school. Chronic absenteeism is one of the strongest predictors of high school dropout, even as early as the primary grades. “There is a correlation between academic progress and student attendance. Kids that are chronically absent are less likely to pass state assessments or graduate on time as compared to students that come to school every day,” informs Matt Gillingham, Director, Student Services at Lake Washington School District. 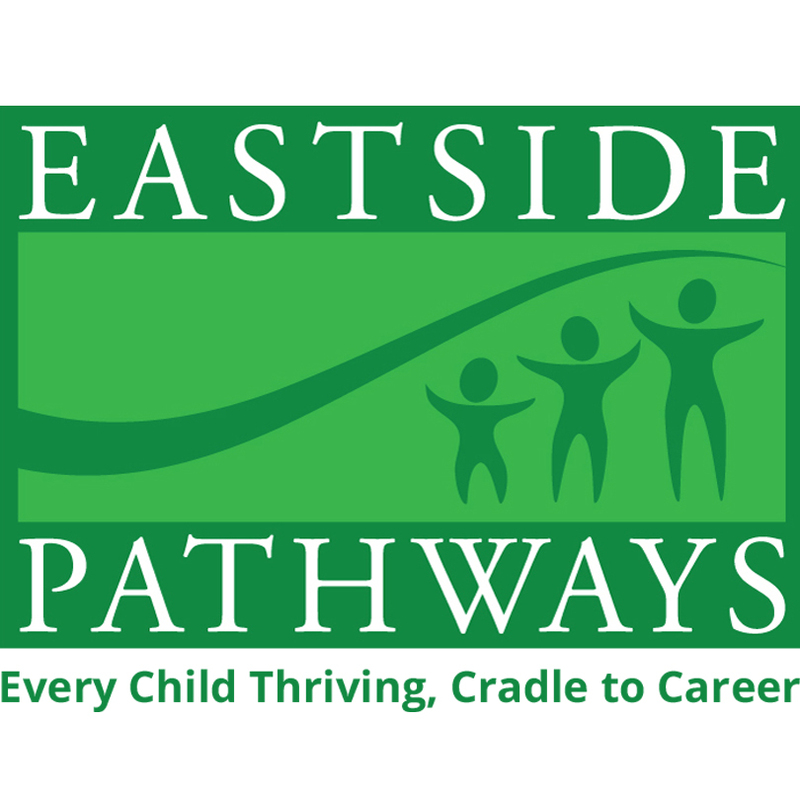 Since 2013, every September, Eastside Pathways, an Eastside-based partnership of nearly 70 public, private and non-profit organizations working to improve student outcomes from birth to age 26, has been working with school districts, parents, and the larger community, on an awareness campaign that communicates the need and importance of regular school attendance. “Our data show that chronic absenteeism is contributing to academic gaps, especially for some underserved communities,” says Ted Dezember, King County Housing Authority, an Eastside Pathways Partner. “When students miss too many days of school it affects their academic performance as well as their ability to complete high school and eventually be successful in the workplace. It can also hinder the development of their social-emotional skills”. Educate your employees about the importance of good school attendance. Share these handouts. Review your human resource policies. Are you a business that is supportive of employees who want to make sure their kids are in school, on time? Put up a poster promoting good attendance in your store or office window. Marshal the data: Work with, and support, schools that track chronic absence numbers—how many total absences for each student—not just daily averages of how many students showed up. Encourage districts to evaluate each school, grade, and neighborhood. Nurture a culture of attendance: Work with a local school to provide incentives for good or improved attendance, such as gift certificates, books, healthy snacks or backpacks. Talk to other business leaders about the role attendance plays in improving achievement and school success. Address barriers to good attendance: Support programs that address the health barriers to attendance, particularly asthma and dental care. Encourage employees to volunteer as attendance buddies or mentors for chronically absent students. Aligning our community organizations, businesses and resources around this work can make a difference. It can make a difference in employee satisfaction, in the lives of children and youth, and eventually for economic development as we look to a pool of qualified candidates to hire who have developed good habits related to attendance and persevered through their academic careers. Please join Eastside Pathways and the rest of the community by participating in Attendance Awareness month in September. You’ll be happy you did!